The Allen Rifles, under the command of Tilghman H. Good, the man who would later become the mayor of the city of Allentown, Pennsylvania after founding and commanding the 47th Regiment of the Pennsylvania Volunteers during the Civil War, was one of three militia units formed in Lehigh County in the early to mid-1800s. The others were the Allen Infantry, commanded by Captain Thomas Yeager and also known as the “Allen Guards,” and the Jordan Artillerists, captained by William H. Gausler. Colonel Tilghman H. Good, Commanding Officer, Allen Rifles and 47th Pennsylvania Volunteers (public domain). On the 6th day of August, in that year, a number of the citizens of Allentown met for the purpose of organizing a military company, and adopted the name ‘Lehigh Fencibles.’ This organization remained in a prosperous condition for nearly one year under Capt. Hiram Yeager. Subsequently, on the 10th day of July, 1850, the ‘Lehigh Fencibles’ having ceased to exist, another company was formed under the name of ‘Allen Rifles,’ most of the men who were formerly of the ‘Fencibles’ joining, and aiding in the organization, electing Tilghman H. Good (now colonel commanding Fourth Regiment, National Guard of Pennsylvania) as captain. John P. Dillinger became captain in 1859, but soon after gave place to the former captain, T.H. Good. April 13, 1861, two days previous to the call of President Lincoln for troops, the citizens of Lehigh and Northampton Counties called a public meeting at Easton, ‘to consider the posture of affairs and to take measures for the support of the National Government.’ At this meeting the first Regiment Pennsylvania Volunteers was formed. 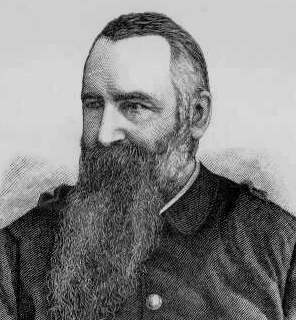 The captain of the ‘Allen Rifles’ (Col. T.H. Good) was chosen lieutenant-colonel of the regiment, in conjunction with Capt. Samuel Yohe, of Easton, as colonel, and Thomas W. Lynn as major. The ‘Allen Rifles,’ having by this transaction lost their captain, quickly proceeded to form themselves into a new company, retaining, however, the name ‘Allen Rifles,” and on the 18th of April, 1861, left for Harrisburg, and were there mustered into the service on April 20, 1861, as Company I, First Regiment Pennsylvania Volunteers, being in all eighty-one men and officers. 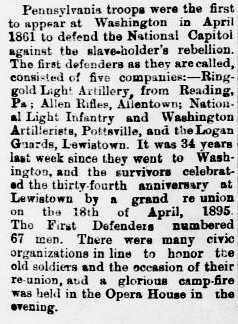 This announcement in the 24 April 1895 Juniata Sentinel helped confirm the status of the Allen Rifles of Lehigh County, Pennsylvania as among the earliest defenders of the Union during the outbreak of the American Civil War. After a few weeks out of service the Forty-seventh Regiment Pennsylvania Volunteers was formed, with Capt. T.H. Good at its head as colonel, and a large part of the members of the ‘Allen Rifles’ joined the regiment, while the others soon re-enlisted in the Fifty-fourth Pennsylvania Volunteers and other regiments. All but a few of the men received commissions during the war, ranking them from lieutenant to colonel. Many continued to serve with the Allen Rifles after the close of the Civil War. With Tilghman H. Good once again assuming responsibility for its leadership, the company was reorganized on 30 June 1870. Joining Captain Good were Andrew C. Nagel and Charles Mertz as first and second lieutenants, respectively. See also: Union Rifles and 1st Regiment, Pennsylvania Volunteers. 1. Coverage of Pennsylvania’s First Defenders, in Juniata Sentinel, 24 April 1895. 3. Mathews, Alfred and Austin Hungerford. 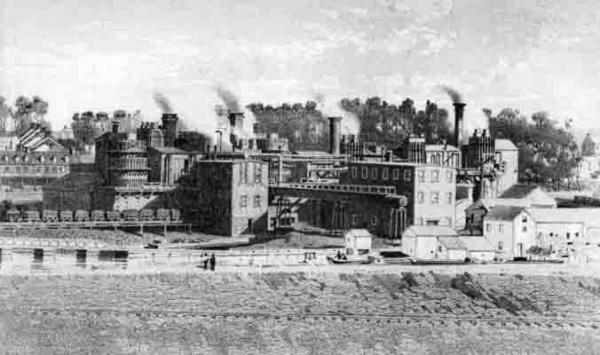 History of the Counties of Lehigh and Carbon, in the Commonwealth of Pennsylvania. Philadelphia: Everts & Richards, 1884. 4. Schaadt, James L. Company I, First Regiment Pennsylvania Volunteers: A Memoir of Its Service for the Union in 1861, in The Penn Germania: A Popular Journal of German History and Ideals in the United States, vol. 1, no. 1. Lititz and Cleona: H.W. Kriebel, editor. Holzapfel Publishing Co., 1912.